Heated Display - G.A. Systems, Inc.
“Speedee-Serv®” Speedline Heated Display is designed to merchandise heated food items at your customers’ eye level, adding an additional impulse purchase from sight. The Heated Display is one of the accessories to our “Speedee-Serv®” Merchandising Cabinets. 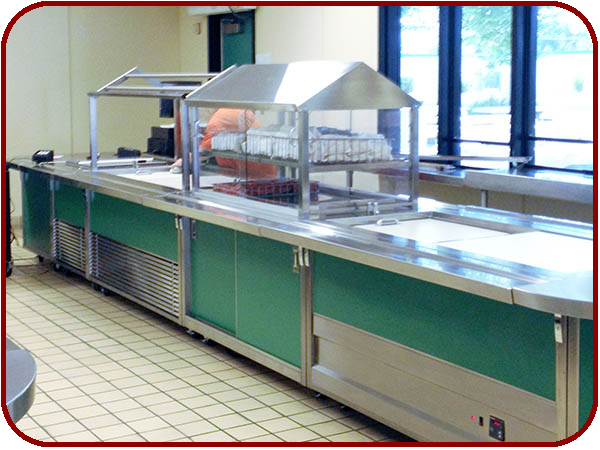 The double sided self-serving keeps a variety of hot food items at optimum serving temperatures. G.A. 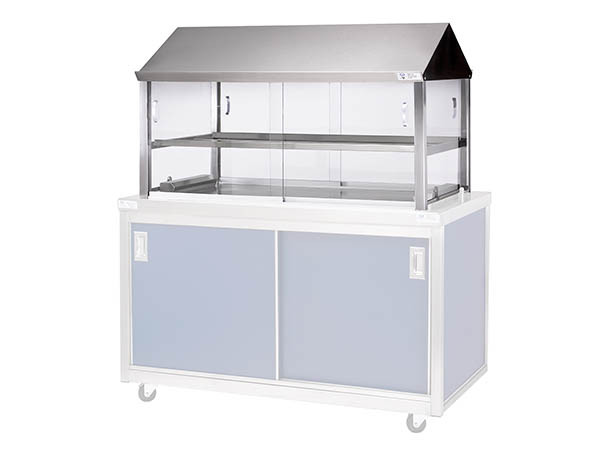 Systems Merchandising cabinet with Heated Display allows you to present your hot food items in a double sided self-serving serving line for cafeterias. 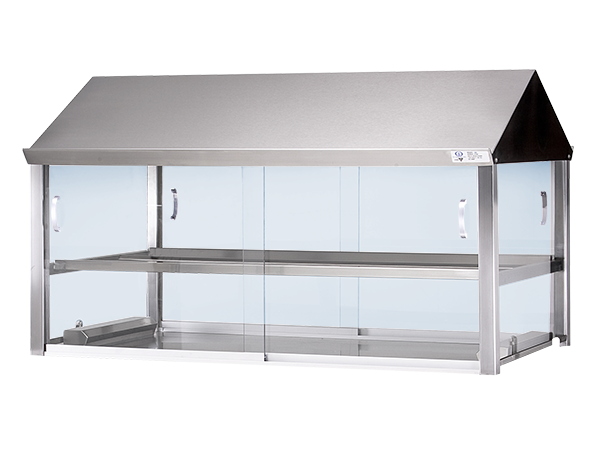 Convected heat is recirculated throughout the heated display to give you maximum product temperature and keeping the food hot throughout the product. Infrared Strip Heater blankets food holding areas to safely hold products at optimum serving temperatures, using a pre-focused heat pattern and specially-designed reflectors to ensure maximum food holding. Each side of the Heated Display is equipped with two each removable polycarbonate sliding doors. The bottom track is removable for cleaning.